Uncommon Homes in an Uncommon Setting! 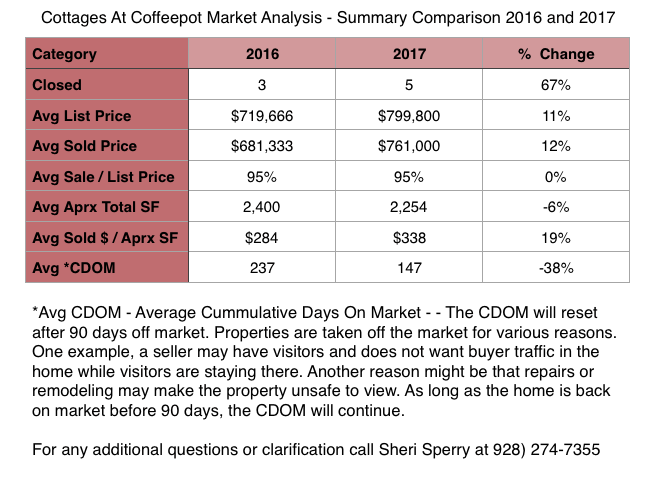 2018 Cottages At Coffeepot – This is the most activity I have seen in this small community for many years (8 sold in 2016-17). Each of these town homes are very unique. They have custom floor plans, different lot sizes and each view is different. Many of the luxury town homes have been updated to varying degrees which makes pricing price per square foot vary so much. 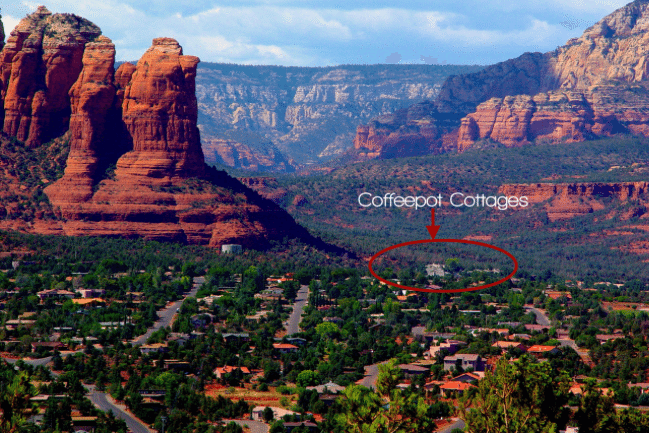 The Cottages At Coffeepot West Sedona is a community for those who want a lock and go lifestyle. The community has a full-time grounds keeper who maintains the front landscaping of each home. There is only one way in and one way out and it has a security gate to maintain your privacy. The Cottages are very safe. Because they sit over a mile off the main highway (89A) and are tucked in at the foot of the forest preserve, there is little traffic that is not accounted for. There are 34 homes and generally 10-12 full-time residents who live in the Cottages while other residents travel to other homes based on the season. Some spend summers here and others spend their winter months in this community. One of the unique features that residents enjoy at the Cottages is a heated swimming pool that is available from May through October. 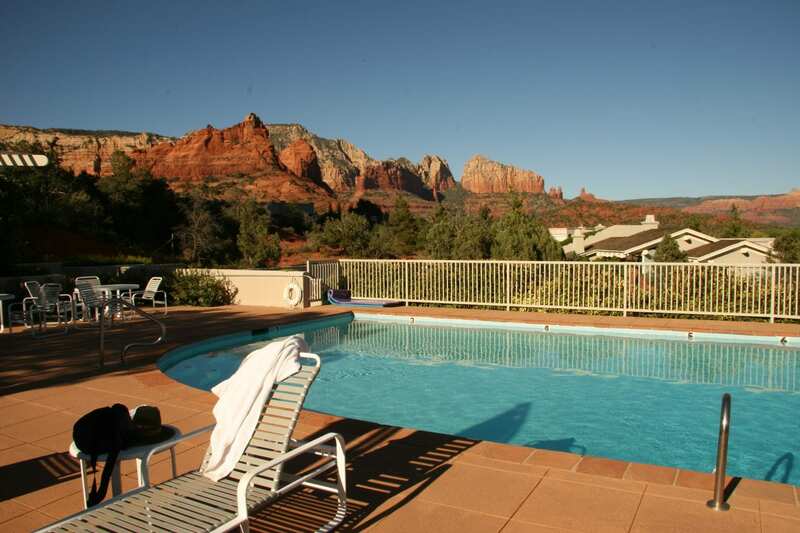 The pool area sits higher than most of the luxury town homes and has a great view of the surrounding red rocks. Straddling one of the famous rocks in Sedona. ..Coffeepot Rock, the pool is located right below. From the main street of the 89A, it looks just like the old percolator coffee pot, but as you move around the rock, it can take on another appearance of a “Standing Eagle” a name given to the rock by the Native Americans who inhabit the area. Besides the pool, you can play a set of tennis anytime you choose at the tennis courts located right below the pool area. If you decide you want some fresh air and a nature walk, there are trails by Coffeepot that lead to Boynton Canyon to the west and Jordan Park to the east. The Seven Pools and Devil’s Kitchen are a ten minute walk right outside of the community. There are Jeep trails also that you can take to get to those features. Just make sure you have a narrow rock climbing vehicle to get you back there! You enter the community from the top of the hill and the street lights meet the dark sky requirements. 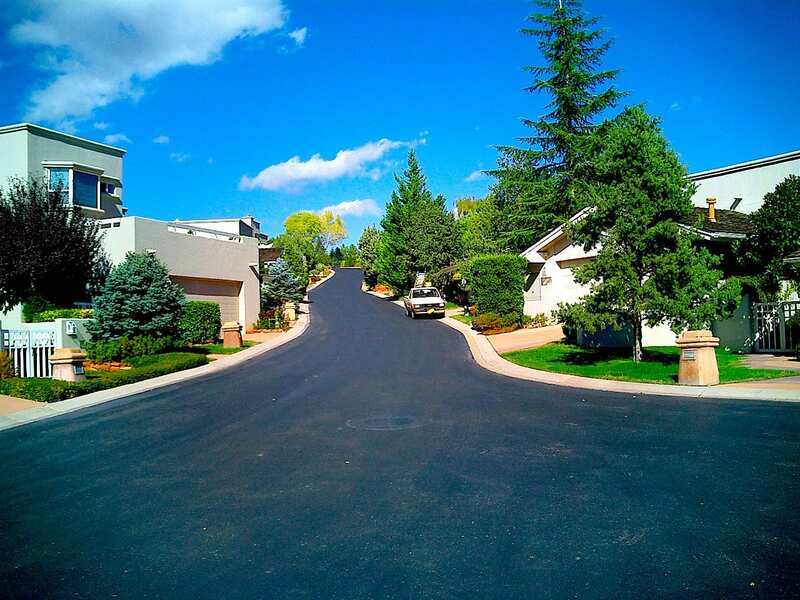 These monuments throw a soft light down onto the pavement and each townhome has one or more in front of their home. As you can see, there is green grass where you might expect rocks and desert plants. Most of the community has grass in front of the town homes. However, the HOA is considering modernizing the landscaping in increments as needed to bring a fresh young look to the complex. The picture to the right is looking down from Coffeepot Rock. As mentioned before, there are 34 units. Two of these units sit on two lots. Most of these luxury town homes are two and three units to a building. Each unit has some sort of courtyard in the front and a backyard garden area. Half of the community borders the forest. Many units have built in BBQs and all have a slab patio front and back. About half of the units back up to forest with a direct view of Coffeepot Rock. Those units that sit on the east side of the street have a view of Coffeepot Rock from the front of the town house. The architect is a prominent local resident who builds a quality home that usually remains pretty timeless. 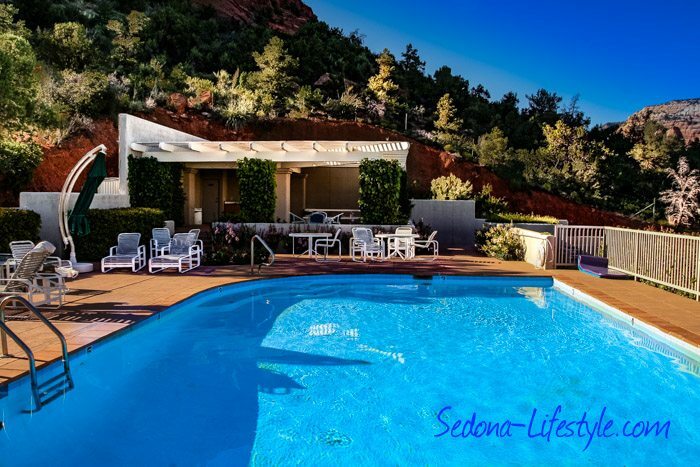 Don Woods has designed more than 200 local homes including Junipine Resort in Oak Creek Canyon to Heartline Cafe and the Sedona Racquet Club according to Sedona Monthly Magazine. This article was back in 2006. The builder is still active in the community. He is Phil Morris. Currently he has a multi-million dollar project about 3 minutes from the Cottages located right on Soldier’s Pass. Again, Phil Morris provides a quality product that a home owner can be proud of. The Soldier’s Pass area of Sedona is one of the more pricey areas in Sedona. 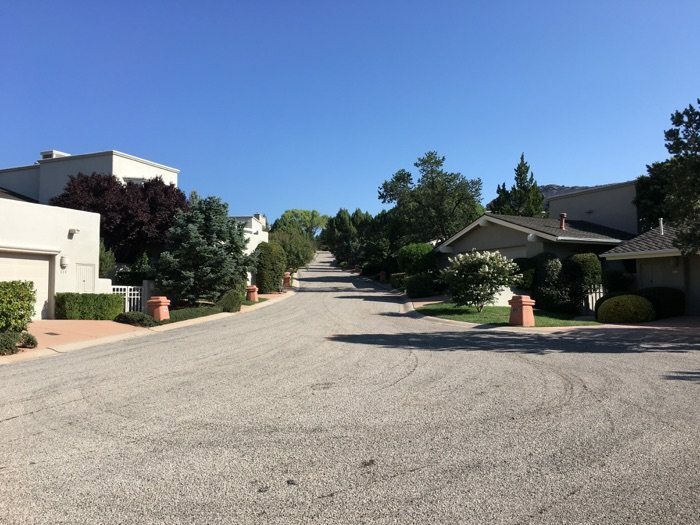 The average home price in Soldier Pass right now is over $1,650,000. On the other hand, The Cottages At Coffeepot sit on some prime property at the very end of Soldier’s Pass and offer a more affordable alternative choice of living in a luxury setting. The location is far enough away from main highway traffic to relish the quiet solitude of nature. 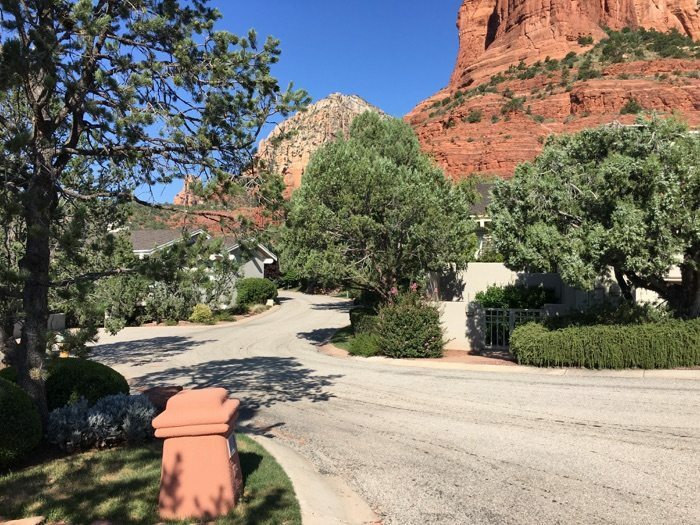 Surrounded by pine and juniper trees, your Cottage is nestled deep into nature yet you can enjoy the peace of mind knowing you are located in a gated community that looks after it’s own. A recent study has shown that living within a mile of a Whole Foods or Trader Joe’s increases the value of your home. The Whole Foods of Sedona is right at the beginning of Soldiers Pass just 3 minutes away. 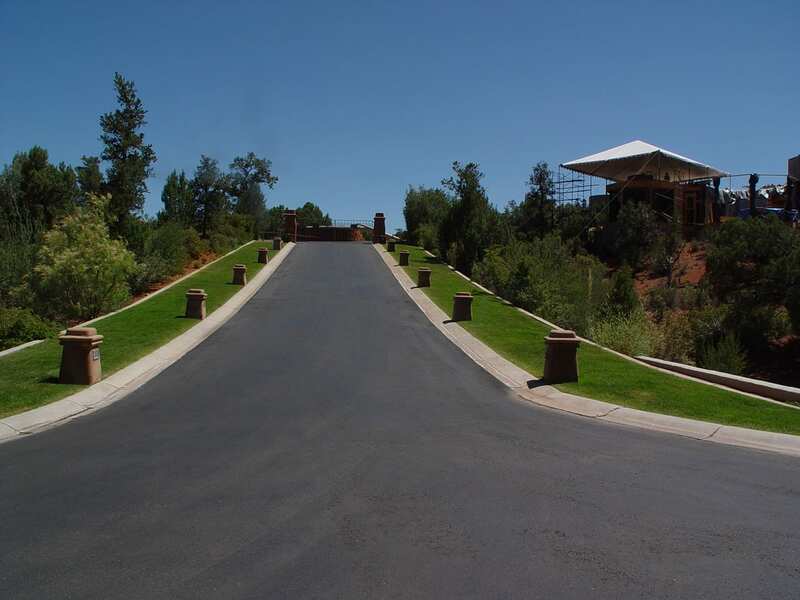 A question often asked is “How far are the medical facilities located?” The intersection of Soldier’s Pass & SR 89A is the start of all the businesses located in Sedona. Besides the Whole Foods at that corner, there are two banks, restaurants and professional services which include, doctors offices, eye care, dentist and lawyer’s offices as well as other professional services. Within 5 minutes of that corner are all the services you may possibly need. If you need any specific questions answered please reach out to me through my cell phone or email. There are no Cottages for sale currently on market, no more than two of these special homes are usually available at any given time. Please give me a call if you are interested in selling. You can find a number of sites that will provide you with an ‘estimate‘ of what your home is worth. These sites use public records and algorithms to determine an ‘estimate‘. They must also publish their ‘error rate’ as well. The human factor is left out of the equation in these estimates. I live in this community and can give you a more accurate picture of what your home or town house will sell for. This is what I do for a living. 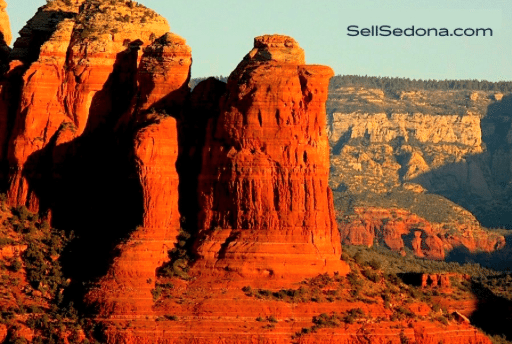 I am an expert in the Sedona market and the surrounding communities. I also network with the top REALTORS® in the area. 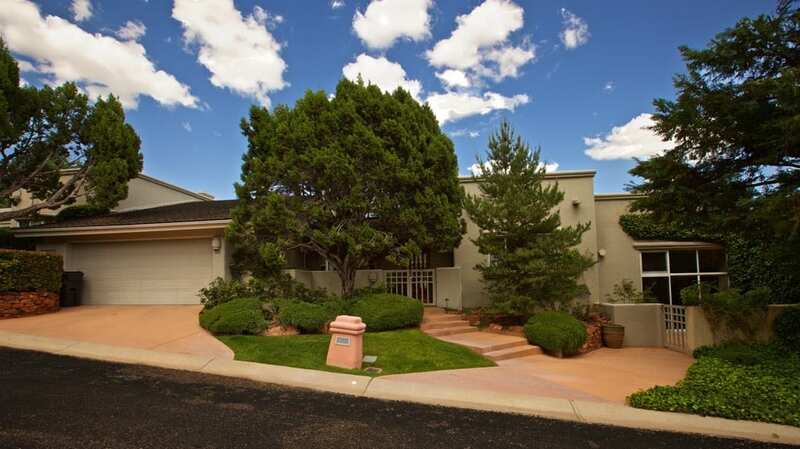 As a past-president of the Sedona Luxury Real Estate Professionals, I bring an added dimension to the luxury market. We meet every 2 weeks to discuss current market conditions and what the forward looking picture is indicating for the market. 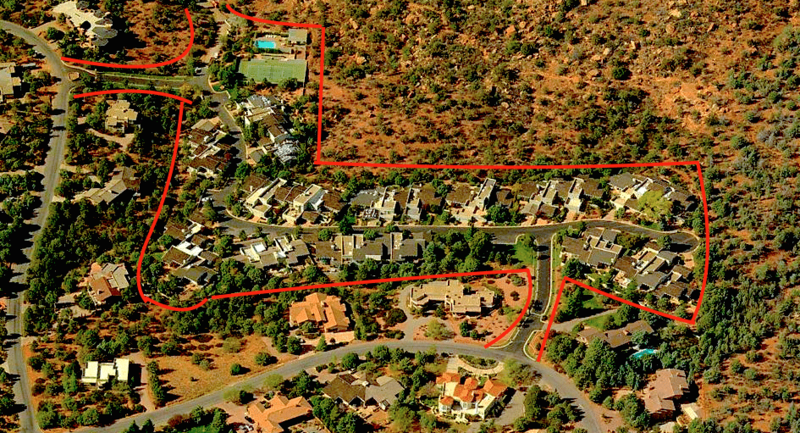 National and even county-wide news sources are slow and do not accurately represent what is happening in the Sedona area. 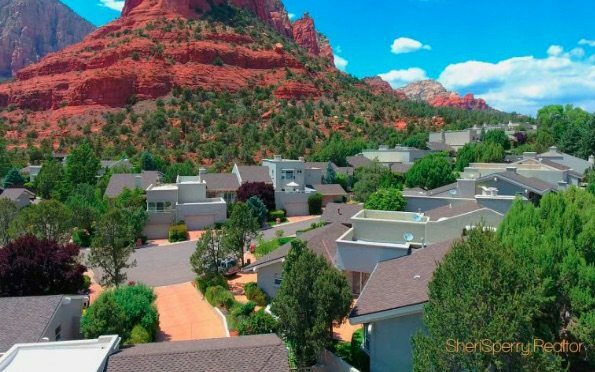 I contract with a National Research firm to provide you with COMPLIMENTARY, real-time up-to-date market reports and statistics showing homes and condos for sale in Sedona. 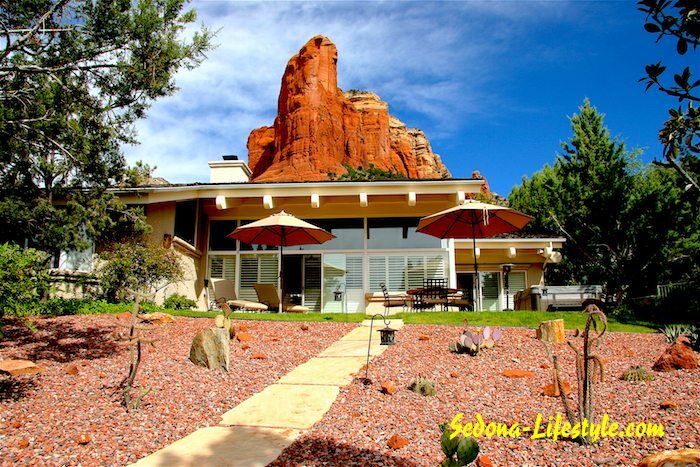 These reports are updated every few days to keep you current on Sedona market conditions. This is a valuable tool for you that only I provide through quick website graphs or detailed reports you can get FREE in your email. Just select this link, “How is the market is doing?“. You can subscribe to any report you need and it will be delivered to your email in-box on a weekly basis. If you have any questions, feel free to call me. I will walk you through it. Also, monthly I provide you with a Market Report Analysis for each of the main zip codes and communities in the area which include: Sedona 86336, Village of Oak Creek 86351, Cornville/Page Springs 86325, and Cottonwood 86326. A lot of the rock formations in Sedona are named after objects that they look like. Cathedra Rock, Thunder Mountain, Snoopy Rock, Chimney Rock and of course, Coffeepot Rock,just to name a few more visible formations. 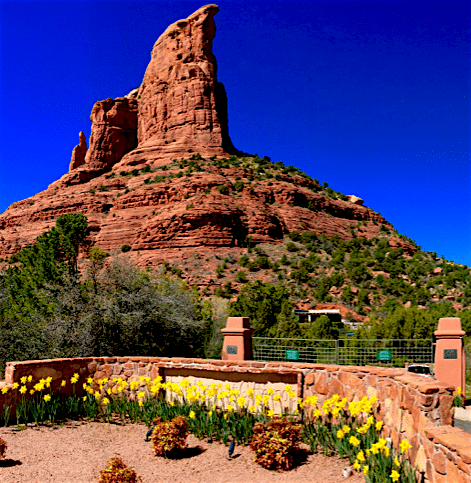 Some of these are iconic symbols for Sedona. In the wild west, the cowboys on the range, would use a percolating type of coffeepot over their campfire or on their camp stoves to brew coffee. Many of you may recognize the shape that has a glass knob on the lid to detect the color of the coffee as it continues to brew. The pot was made of a tin. 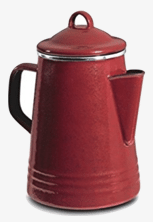 This type of pot was used well into the 1960’s and may still be used today in some homes or for camping. This was around 9 step process that took five days to complete. The finished surface should last many many years. 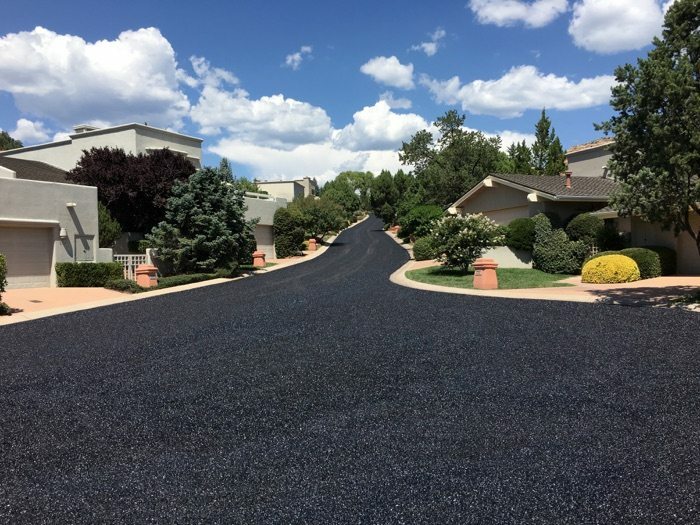 The last resurfacing lasted 15 years. The first step was complete prep and patching and an additional drain put in. Then a netting was put down and a black resin placed over it. After that large gravel was set down. Another type of sealant was placed over that gravel. 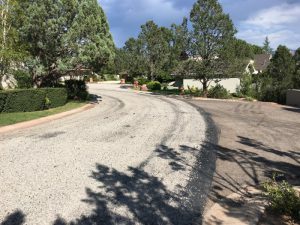 Then a smaller pea size gravel was laid down with another sealant placed over the smaller gravel. There was a final sealant to adhere and cure the surface. A few days later there was a lime wash to eliminate any stickiness. As the video shows, the Cottages At Coffeepot border forest and red rocks. 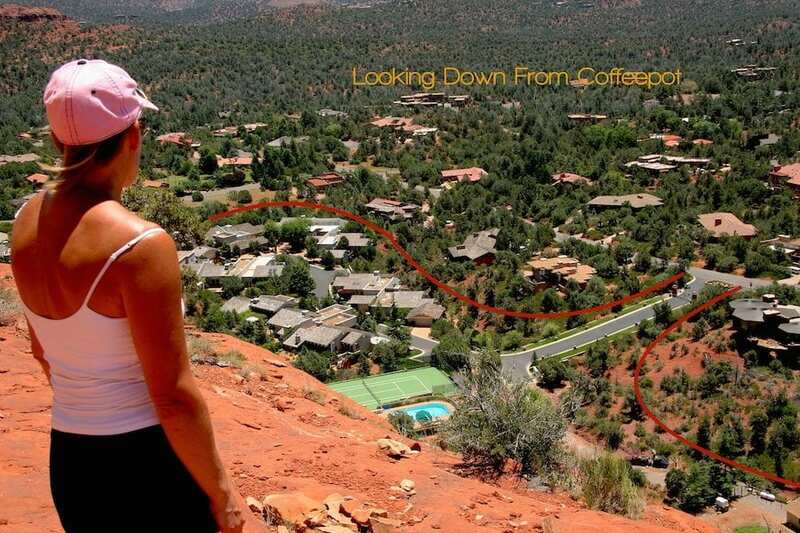 The pool and tennis courts are right below Coffeepot Rock.